Sorry. 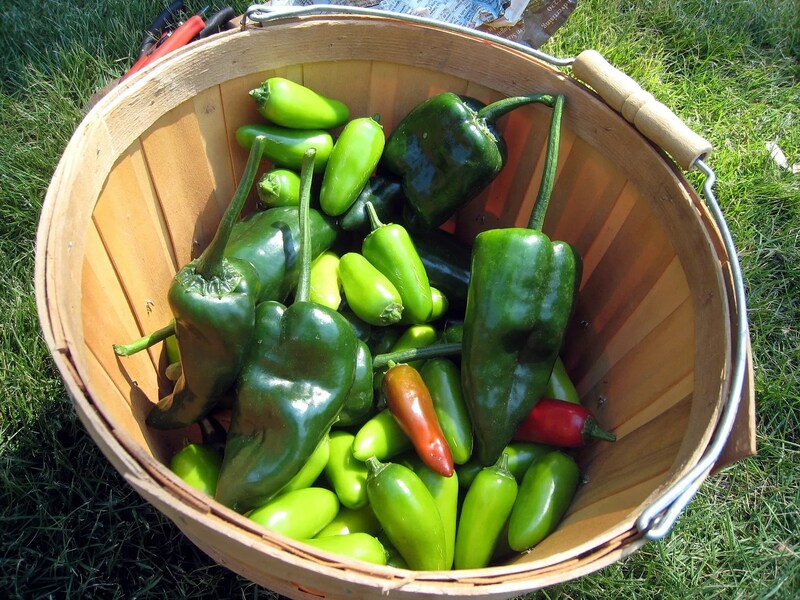 “Poblano” is tough to work into a corny title so the “Macho Man” chorus it was….. 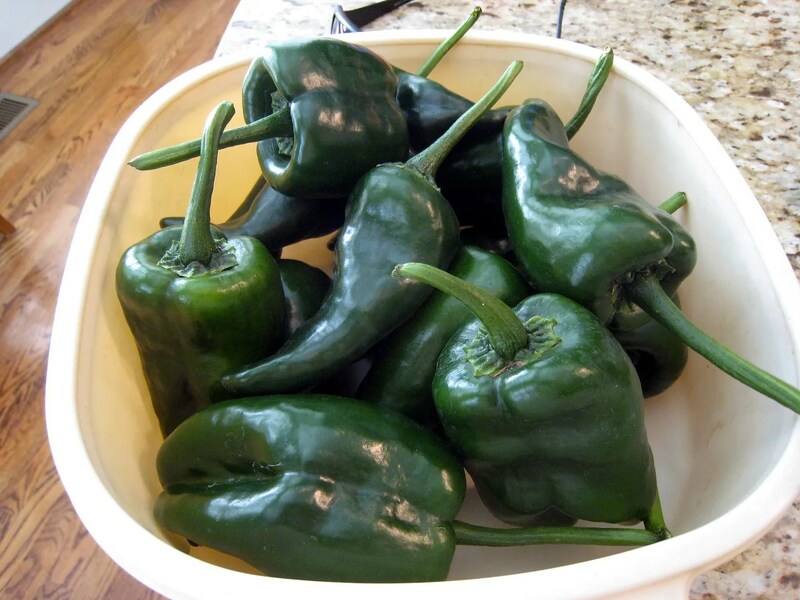 Anyway, this post is actually about poblano peppers, the mild green chile used in chile rellenos. 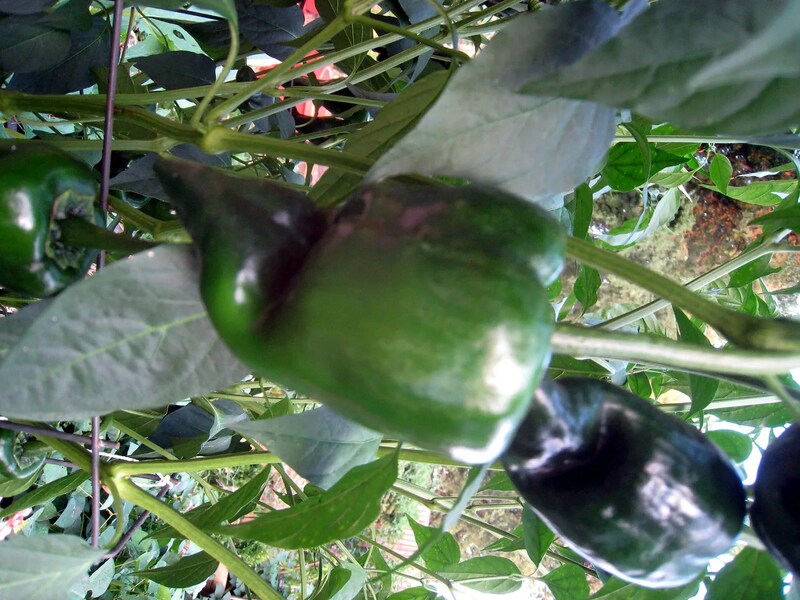 Once a poblano is dried, it turns a dark red and is then referred to as an “ancho” pepper. This year I got 0% germination from my poblano seeds and ended up picking up a single plant from the Home Depot garden center (Bonnie nurseries supplies the stores in my area). I haven’t decided whether to roast and freeze these or consume them over the next week, or perhaps string them up to dry in to anchos. Jeepers, Im envious. 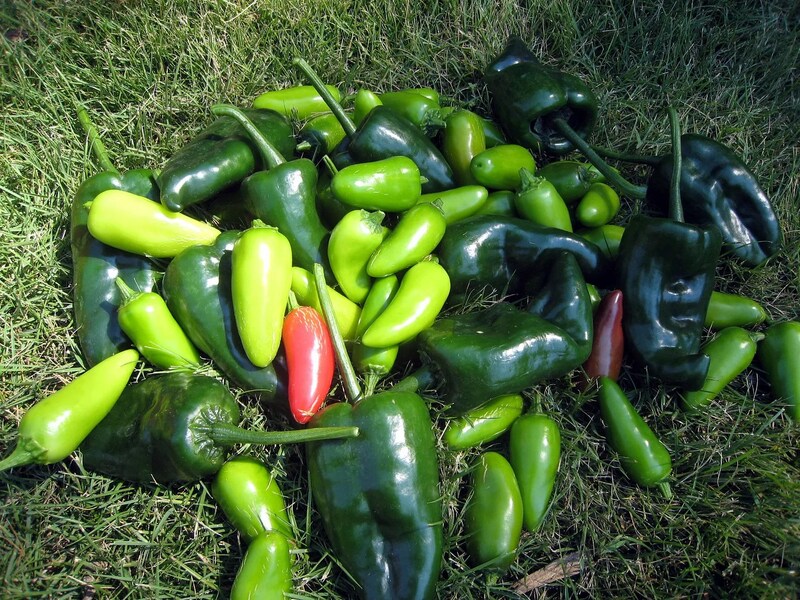 As I stated in my first post, I grow hot peppers up here in PEI , Canada. I planted over 20 Poblano Seeds, only four came up. I had poor luck 2 years running with poblanos. The plant that produced these was a big box garden center seedling purchased in desperation.